Smile! It improves your face value. There is no doubt that a happy, genuine smile can be the most attractive feature on any face. Some professions, however, require a smile that is not only genuine but also aesthetically and symmetrically “perfect”. Thanks to modern technology, dentists can now make cosmetic changes to a person’s smile that can take away certain unsightly aspects of a smile, like an extra gummy smile, or extremely yellow teeth. This procedure can also be used for pure cosmetic reasons, where a person wants to take an otherwise regular smile and convert it into a cosmetically “perfect” one. The term “smile designing” literally mean redesigning a person’s smile. This involves shaping and modifying the hard (teeth) and soft tissues (like gums and lips) in the oral area to enhance a person’s smile. This is exactly what cosmetic and aesthetic dentistry covers. 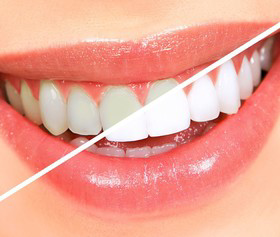 Cleaning and polishing the teeth and removing stains via scaling or bleaching helps in whitening the teeth. Getting rid of old fillings/decays and replacing them with new tooth-coloured restorative material is a new trend to get a spotless white smile. There are new restorative techniques that completely hide cracks in the enamel that hamper smiles. Aesthetic Dentists can close gaps between that are natural or may have occurred due to an accident. Missing teeth can be replaced with different types of natural looking restorations. There are various orthodontic techniques to align crooked teeth and give you a straighter smile. The proper proportion of white and pink is an important component of a good smile. A good periodontist knows how to work on your gums to get that perfect pink in your smile. At Dr. Gowd’s Dental Hospitals, we use the latest technology to enhance smiles and make a person feel good and confident. A technique of cosmetic and aesthetic dentistry ensures the smile suits your face and features.